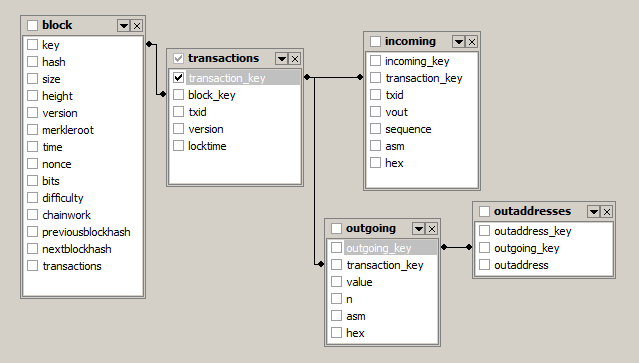 BTC2MySQL - Search and navigate the blockchain with SQL. Search & navigate the blockchain with SQL. A new version of our site is now online. Search and navigate the blockchain with SQL. Without needing to dig through many addresses, keys, and identifiers. BTC2MySQL speeds up and simplifies search by taking blockchain transactions and arranging them all in an easy to query relational table.